Doesnâ€™t this Dyed Ruby Necklace pull you towards itself? Green-pink combination makes this necklace so beautiful and stunning. 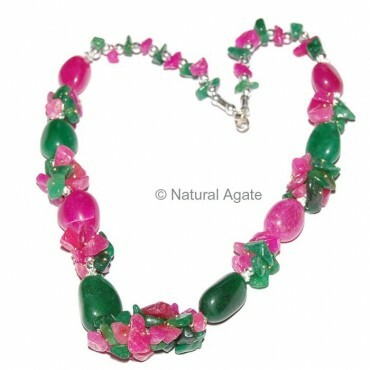 You can avail this necklace from Natural Agate at a fair rate.